Hi! My name is Jennifer Stay. I wanted to take this opportunity to introduce myself. 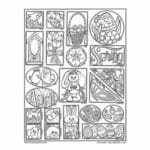 I have been designing and selling coloring pages for several years through my website. Over that time, my art has been downloaded thousands of times by people all over the world. I still get a shy thrill every time I imagine someone thousands of miles away, that can’t even speak my language, coloring my art. The Internet is an amazing thing! I draw and color almost every day. I use my art as a “blissful” way to cope with several debilitating chronic pain issues that I have been living with for over a decade (no one’s life is perfect). This gives me a unique perspective on the power of art and our need as humans to be creative. I have recently been using this perspective to help other people who suffer from chronic pain by showing them how to use coloring as a pain coping mechanism. Through social media, I have had the joy of hearing from many people who are already benefiting from my tips and my art. It’s very humbling, and brings a sense of purpose and fulfillment to my life. When I’m creating coloring pages I’m constantly thinking about you coloring the spaces that I’m drawing. I wonder about the colors you’ll choose and if I’ve added enough details to inspire you. I know you’ll find the spots where my hand may have slipped a little and I wonder, “do you think of me?” I wish I could see your finished work of colorful art because I see this as a fun collaboration between artists. I hope you enjoy this website of the pages I have created. There are books and other products to come in the near future. To hear about my latest projects you can sign up for a membership on my website or follow my page on Facebook. I always love to hear from my colorful friends. In the meantime, you can picture me “blissfully” drawing more coloring pages with Rose curled at my side. I will be wondering if you would rather have me fill a certain section with circles or diagonal lines. Jennifer, I love your artwork ! Do you have any coloring books available on the web? If not you should consider it! Thank you so much Yvonne! Actually, I have the art done for my first coloring book and am working on getting it published. I have also started drawing for my second book as well. I’ll let everyone know via Facebook and email when the book is ready to purchase! Jennifer, Thank You So much for your Beautiful artwork. I’ve always wished that I could draw like you do but since I’m not very good at it, I’ll keep my creating with pencils to coloring your Beautiful creations! I’m always looking forward to your next new artwork! Thanks again for the new Christmas creations to color! Best Wishes on your upcoming books! I’m soooo glad I joined! I just printed out the “free” hearts page – just in time for Valentine’s Day! Will hopefully finish by then! Thanks so much for generously sharing your talents and passion! You have amazing ideas and artwork. Thank you. I love your coloring pages! I started with the free pages and enjoyed them so much I just signed up for premium. I love the variety and your whimsical style! I also suffer from chronic illnesses and I color every single day. I’m a marker girl so I prefer to print out my pages onto card stock and this is perfect. Many well wishes to you. I am a Breast Cancer Survivor. 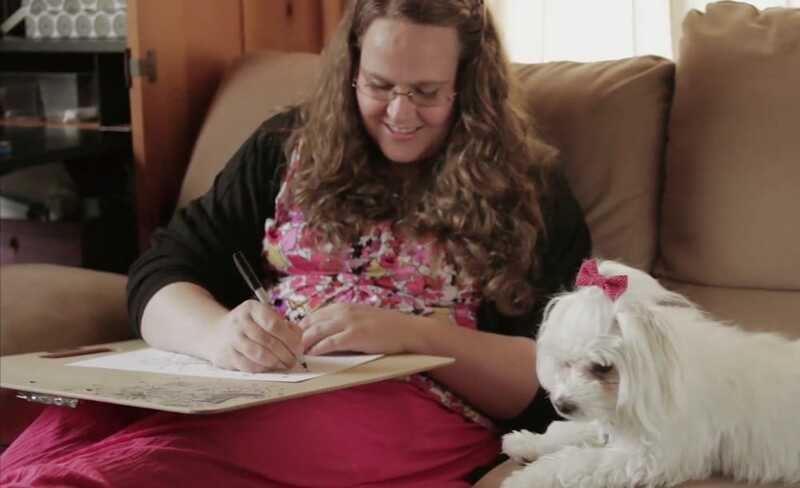 Would consider drawing anything that has ribbons or anything for us Cancer Survivors? I love coloring your pictures. Thank you Joycelyn. I’ll definitely consider that. I just found you and your beautiful art. I’m so excited to color some of your free pages. I am a Copic marker colorist, so being able to print out on cardstock the pages I like is awesome! I, also, have chronic pain, like a lot of us, and coloring with my newly rescued kitty, Cali, at night is a beautiful end to my days. And we color in the daytime, also! I’m also a breast cancer survivor of almost 25 years. I’ve been doing Adult Coloring before there was ‘Adult Coloring’. It is a beautiful addiction that has given me peace and contentment for many years. Thank you for sharing Sue–what a beautiful story. It’s amazing how much our sweet little fur babies combined with coloring help! Kudos to you guys who can use coloring to get away from your pain. I’ve not managed to figure that out yet, coloring while really hurting. And of course, when really, really hurting (as most of the time), it’s a bit hard to see through the tears. I suffer from RSD (full body) and all the fun stuff that comes with it. I also have lupus, RA, and other health issues. Oh, ps, one lady who had cancer suggested perhaps you could draw a ribbon or ribbons. I don’t know if you have, but you might consider just drawing the ribbon “outline” and incorporating it somehow into a drawing, or make it the focus of a drawing. That way, anyone could use it and color it however they wanted to for a particular disease-ie: pink for breast cancer, green for kidney transplant, and so on. I Tammy, I’m so sorry for all of the pain you’re in. It’s just not fair. 🙁 Regarding your suggestion, I love it–I’ll definitely do something like that. Thank you. ty so much jennifer for sharing you with us…i recently lost my only child and coloring has been the best therapy in the world..you inspire me with your pages and i download them all to the point to where i go through 2 ink cartrages a day…i love the new large case and would love to purchase one ..
Just discovered you yesterday, I am starting with pyrography and was looking for designs to burn and thats how I found you. Since your designs are full size I can easily adjust them for my burning needs, lol that sounded kinda weird. I’m from the Netherlands, another dot on your virtual travel map. Saddens me to hear you are in so much pain p, but happy you found a coping mechanism. Reading is my ultimate guilty pleasure through every part of life. Jennifer, I too am dealing with chronic pain. I am trying to see if coloring will help. So far..not so much. However, since I found your tutorials on coloring with pencil crayons (as you say) I have found myself more involved with my coloring. Hoping and Praying that I can focus on the page and not the pain. As far as I am concerned you are an angel. And since you too deal with chronic pain I am hoping I can learn from you on using coloring as a pain management tool. Thank you so much for your wonderful tutorials and sharing your techniques and ideas with us. Your art is amazing and I love coloring your pages. I pray you continue to find peace and less pain in helping us to become more involved in our coloring and helping us to learn to have a Blissful coloring experience. Thank you so much Dani. I’m sorry you have to deal with chronic pain too–I hope and pray you’ll find even a small measure of relief through this process. Hi Jennifer! I recently found you on YouTube & have been binge watching your videos! I’m so glad I found you. You have a wonderful gift for teaching & also a very uplifting spirit. I also suffer from chronic pain, am permanently disabled, & almost completely home bound. 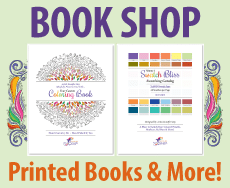 Coloring & crocheting are my creative outlets & both help me manage my pain & my sanity! ? I feel a kinship to you knowing that you’re a fellow sufferer. I know many colorists probably have similar problems. Thank you for sharing your gifts with us! Keep those videos coming! ? Praying you have a blessed & pain free day! I´m new to this art of coloring pages and find your drawings and love them. Thanks!! Awesome drawings. You are very talented. Thanks for creating such neat drawings!! Thanks for the free coloring pages. I’m looking forward to coloring them. I love all the different designs and Rose is such a sweet dog. I believe she co-stars in some of your videos..Lol! So nice to meet you! I am new to coloring pages. I just love your artwork. My mom is an artist of many mediums. She inspires me and so do your free coloring pages! Thanks so much! Now I know the inspiration behind your adorable puppy pics! I too am a critter mom and mother of two boys. Of all the skills I wish I had, drawing would certainly be one…I do so enjoy your work and thank you for sharing! What a beautiful pictures you create. Thanks for sharing your art and ideas to someone who is clueless in art. Putting your teachings to paper opens a new world for me. Your ideas have made me try my hand at coloring. Again, thank you for sharing your talents. Thank you Teresa–it makes me happy to hear my tutorials are helping you. Have really enjoyed downloading your art. I love your coloring pages. You can tell you enjoy drawing them. Hi, I love your art 🙂 it’s so beautiful, I’ve also been watching as many of your videos as possible, I like to watch them for inspiration as I color. I’ve just discovered your YouTube channel. Thank you! I am not on any social media, so I don’t know if I subscribed as a free member correctly. By watching your polychromos video, I am surely going to order a few. I have the Prismacolor 150 set. I do love them, but it seems I could definitely add some variety. One thing I would like to add, as an almost beginner, I have had a lot of luck with the shading technique by using a Prismacolor Verithin black. I seem to have much better luck than using a regular black or gray tone. I’m sure in time I will become more proficient with the regular pencil. Thank you again! I cannot wait to watch your video on Chameleon markers. I bought these quite some time ago and have NEVER learned the technique. Hi Jennifer! My name is Peg, and I also suffer from chronic all over pain, amongst other debilitating health problems, and have found coloring to take my mind off the pain and get some relief even if just for a little while! I’m a new member and I’m so glad I found you on utube! Your information and friendly delivery are a pleasure and makes me come take a peek here each day to see what you are up to…lol. Thanks tons for creating such a nice environment to fill my time with! Hope you are doing well and having a super day! I’m so glad you found me and my community–I hope that we can help even a little. And thank you so much for your kind words. Just inadvertently found your coloring pages. Am so excited! Watched one of your tutorials on gel Pens yesterday which was very informative. I had considered coloring with gels and now I am anxious to try that. Hi Jennifer! You do lovely artwork! I’m totally new to colouring but I can really appreciate your work. How small the world is! I found your video on Youtube because I was looking for reviews on Prismacolor pencils. I took up coloring to get my mind off the nonstop pain I deal with every day and now I find you have the same problem. THe world never ceases to amaze me. You at least have talent, I recently told a dear friend my only art talent was being able to color and stay inside the lines. Keep up the wonderful work!!! You have a download page that says ‘NAME NOT RESOLVED’. I am also one of the walking wounded. Depression and anxiety for 25 years. Stopped me from working. I just recently found out about adult coloring pages (March). Your reviews have been an excellent resource in getting me started with free pages and recommendations on tools. If you go to tombowusa.com you can get a free download of brush lettering pages, if you decide to do a video on lettering. Thank you for the recommendation Deborah, and I’m glad to hear my reviews are helping even just a little. Hi Jennifer, Since my February message to you, I have done some research and found a shop in Japan that sold Holbein coloured pencils for a better price than Amazon so I am now the owner of the most amazing set of beautiful coloured pencils, the colours are amazing. I’m just bursting to tell you that since I’ve joined your group I color a page a day. Why? Because I love your work and I can hardly wait to get started each morning. 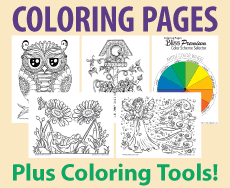 I post a new page to you and three other coloring groups every day! Giving your site credit, of course. Since watching your videos I’m on the brink starting with a blank page and doodling myself a masterpiece, abstract to start off with. And who knows where it will lead? Thanks for putting this whole thing together. You’ve improved my life considerably. Hi Jennifer, love your artwork. You have inspired me to get stuck into something I have loved since my school days. Colouring is so much fun, I would never thought of using gel pens. Thank you. I enjoyed reading about you and your family. I love your art work and have watched several of your videos. Thanks for sharing your talent and time. your information helps me to learn colouring! Hi Jennifer! I’m a new member. I love to color too!! I gpt kind of bored with it because I was doing just basic coloring and a little shading. I’ve reviewed your video tutorials and have been inspired to try out the techniques you shared. I have a lot of color pencils and gel pens, now I can experiment with them as well. Thank you for inspiring me to color again! Hi Jennifer. You have done an amazing job with you website and you tube channel. Can’t wait to check out your other social media sites! 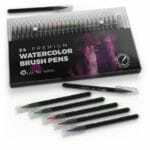 I found your review on Irotijen pencils extremely helpful and informative, and am now enjoying learning how to use my own new set of these lovely colors (I think they will pair beautifully with my Prismacolors, and other coloring and art media). I am looking forward to seeing your other videos, and your website looks to be filled with helpful hints and projects (and the first I found valuable enough to pay for–$5 a month is a bargain just for the information). Thanks. Hi Jennifer. Thank you for your wonderful blog. It is really helping me revitalize the way that I color. You are a very talented young woman. I also suffer from chronic pain. I am really enjoying coloring. At first it caused more pain but I struggled through and while I can still feel the pain somehow my mind can transcend beyond it when I color. My faith also helps during our troubling times. Thanks for your videos and coloring pages. Not sure how you find time for it all but I’m thankful you are here. God bless. Thank you for all of the hard work you put into your videos. I am learning many new things. I’m currently working on swatching my new Prismacolor 150 set. I am so glad I found you! You have wonderful ideas. I enjoy your videos. Than you for sharing your talent with all of us. I am just beginning to really get into coloring. Your artwork is beautiful and very nicely done. I am enjoying your pages. Hi Jennifer. I replied to your T’gaal pencil sharpener review, it is my favourite, I have bought at least 5 so that proves that I like them,I hope you will read what I wrote as I asked if you would review some gel pens,I have a question for you and Steve, how safe is Facebook and would my details be really safe and private, please let me know. Thank you for your comments and suggestions Katharine–you’re awesome. 🙂 Regarding Facebook, I know that they do a lot to keep our information private; however, nothing is invulnerable. One thing that’s good is that it’s up to you to share as much or as little personal information as you would like. So if privacy is a concern for you, you may want to put very little personal info and be really selective with your privacy settings. I found you first on YouTube, and I came to your website when I found out I could join. That will be my next stop. I have bipolar disorder which results mainly in depression and anxiety, and I also have a chronic pain condition. Reading has been my favorite hobby for years, but I decided I wanted to color and I found that many of the adults who color do so as a way to cope with various mental and physical health conditions. This is so perfect for me! I am a beginner, but coloring has already helped my mood, has helped me relax and has somehow helped my pain as well! No medicine can do all of that! I can’t wait to continue to learn new techniques. Hopefully I will get better, but I am not a naturally artistic person. Its OK though. I want to color every day, no matter my skill level. Thank you so much for all of this, and for showing me that this activity can help me live a healthier life. ??? Jennifer, I found you through your YouTube videos when I was searching for videos on how to use colored pencils. I found your videos easy to understand and fun (others are too technical and serious). I have begun to color using your techniques and I post my art to my Facebook page to get my friend’s comments. I put your website in some so people will know where to find the info. I would like to tag you in Facebook but I don’t know who to tag. What is the best way so you can see my work too? Add me to your list of friends who have been helped by the pages you draw. I started Coloring last October, 2016 after not being able to do any kind of art since 2006 when my husband passed and I had to get different living arrangements. I didn’t have room for all of my art supplies. But Coloring doesn’t take much room! I am a pain warrior too, suffering with Fibromyalgia and Sjogren’s Syndrome. I find that Coloring at night allows me to forget the stress of the day and relaxed that I am sleeping better. That helps with the pain a lot! You do good, as God tells us to do. What a blessing you have been to me. Thank you for sharing that with me Linda–it means so much to me and keeps me going knowing I can be even a small blessing in someone’s life. Thank you for being a wonderful part of my community and God bless you. I just had to let you know how much I enjoy your artwork. I seemed to have developed an addiction to ordering coloring books (and pencils and pens and paints, etc), and I am sure I’ll be dead of old age before I get through even half of them. I have some really beautiful books, but your drawings are still among my favorites because they seem to make me feel happy and uplifted. I like that most can be completed in a hour or two, and I love being able to reprint some of my favorites to try different color schemes, media, and even different papers. Thank you so much for your talent. Jennifer, I had to laugh when I first found your site recently and you were doing a reorganization of pencils in different holders. At last I found someone who understands how satisfying this can be! I have printed your Prisma swatch sheets and will get on that very soon which I think that will be a lesson in itself. I feel as though you have done some type of teaching or public speaking because your demonstrations are very fluid and the biggest thing is you don’t wave your hands around. Some ladies do gestures when they speak and I don’t go back even though they have good techniques and material to share. And I must comment on how soothing your voice is too. Thank you for all your hard work – don’t know how you have the time to accomplish it all. But I’m sure Rose is a big help. Hi Jennifer, I love your products. You are amazing. I have a question, do you sell just paper swatches in you4 shop? If so, I would love to purchase them. I’m thrilled to have found y’all! This is fairly recent for me, and no such thing as coincidence! I too live with Fibromyalgia, Neuropathy, Raynauds, AngioAdema, and the occasional TrigeminalNeuralgia! Those are the cards I was dealt, I deal with it! You’ve helped more than you realize. I’m a mom first, I’ve been blessed with a beautiful son, who’s now 24! I’ve also been married to my best friend for 20 years! I am by no means an artist. Can’t draw a stick figure. I never really stopped coloring from a little girl…but boy the things I color and the supplies are different! I’ve seen other YouTubers pages. There was something about you that drew me in. I decided to go for the premium services bc I love all your work! And there was no way to decide! I appreciate the time and effort that you put in, and this way it allows me to not have to pick and chose! You’re a blessing. I’m grateful to be here. I’ve had a question or two I sent via email..and Steve replies were quick and helpful. He made sure I understood and had no further questions. I’m appreciative of him for that..and you for all you do for me. As you are aware, this hobby is very calming. The stress melts away. Not to mention, I think I’ve smiled at all your drawings! I will be printing my very first page today…I will post my before and after! Thank you so much for all you do. Your videos have been very helpful. I have many more to go! I have a lot to learn from you. GOD bless you and your precious family and again, thx for sharing your talent with us! I am a card maker and have recently become interested in coloring images. 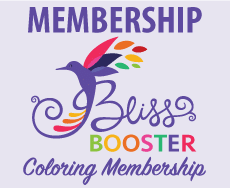 I have just recently (3 days ago) found your Website…one valuable tool that I have already taken away is swatching your coloring tools…So in process of doing that…Many thanks…and can’t wait to see what else I will learn! I’m so glad to have found you on you tube. At first I became a free member and recently a premium member. I really love all your artwork, you said that if you made a slip with your hand if we thought of you, we’ll I can tell you that the slips I do not notice, but thinking of you sitting there with Rose by your side drawing is a thought I have a lot while coloring your pages. And it brings a smile to my face to know that you’ll be creating a new page with love for us to color. I too have chronic pain and it does help to keep me focused on the page not the pain. So thank you so much Jennifer for all that you do! Hi Jennifer, I just visited your about me page and was reading some of the nice comments from others. I also found you on youtube and was very interested right away. I had been playing around with that little Zen coloring app from the play store, but when I found you on Youtube I figured the real thing would be much more fun. So,here I am. I am so glad i found you. You are an amazing artist and can draw so beautifly. I think Im here to stay. Thanks for the free Pages. I just finished coloring the The Birthday Page. Hey Jennifer I too want to live in a mountain cabin by a stream. But not too close to the Stream. I enjoy watching your videos on FB and U tube! Hi Jennifer, I found you last night on YouTube and you kept me up till 3am! I love what I have seen so far and am looking forward to getting the best out my polycromos. I am new to colouring and I am so excited to get going. I live on the west coast of Ireland so I promise I will think of you often as I colour in your designs. Hi Jennifer. I am so glad that I found you on your website. I have been watching your tutorials and really enjoying them. I retired 5 years ago and after crocheting 30 afghans I discovered adult coloring books. I have Stage 4 Emphysema along with a lot of back problems so I can’t exercise. I sit most of the day and color. I now have a medium size carton filled with colorings. I did over 800 scripture colorings for our church to take to retirement homes, and then 65 for a mission to Honduras. That’s on top of all the ones I do to just color. I recently got hooked on the grayscale books and I am really enjoying them. I also am learning to paint with watercolors. So between pencils, markers, gel pens, watercolor pencils and paints I am very well supplied, but I keep seeing new things to try. God bless my husband. He never says no and always loves everything I do. I really admire your talent and the way you teach. I can tell from your voice that you really enjoy what you do. God bless you, Rose and your family and keep up the good work. You are certainly appreciated. Jennifer, I’ve been watching you on YouTube for about a month or so. I really enjoy your tutorials and I’ve learned a lot. Your voice is very soothing. I am 66 years old and I live in an assisted living facility. I believe that keeping my brain active will help avoid dimentia. One way I keep my brain active is by coloring. I really enjoy it. I am struggling to learn how to blend and shadow on my work. I’m learning and improving slowly. Thanks for all you do. I used to live in Utah, in Provo. I’m very familiar with the mountains there. I’d like to, one day meet you. My grandkids live in Kearns and Orem. I hope to see them this summer. I tried to download a couple of pages earlier today but was unsuccessful. I’ll try again tomorrow. If I continue to have difficulty I’ll let you know and maybe Steve can suggest something. It’s good to talk to you. Thanks again. Typically, I’m the download & run kinda girl…. but you’re site & videos have me digging out my sketchbooks, and setting them up like I’m back in my college Art class! I love it! Thank you so much, not only for teaching the techniques, but also for inspiring ME when I thought my creativity had shriveled away…. Thank you for helping me to feel alive again. I discovered your YouTube channel A couple of weeks ago. I have been coloring for about three years as a coping mechanism for chronic pain myself. I really enjoy watching your reviews and tutorials. You keep it real and I like that. Looking forward to coloring some of your work. Jennifer, I love you and Steve. Rose too. I used to live in Utah. My first son was born in Provo. I believe we may have a lot in common besides our love for Coloring. Could you please remind me of the type of paper you recommend for colored pencils. I wrote it down but I’ve misplaced it. Thanks so much. All I remember is that it was 67 lbs. I became interested in coloring a few years ago but got distracted by Life. Recently I commented on how I need some way to be creative and to learn. I then realized that I already have something, color! I love colors and I love to create. I watched a YouTube video one day when I wasn’t feeling so well and decided to join your adventure to see where it would take me. Thank you for the free coloring pages, love them. After watching your YouTube video’s I realised that there is much more to coloring. You opened up my eyes so that I look with a different view to color and nature. 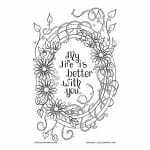 Hi, I Love your coloring pages! I’ve been watching you on UTube for about a year now. Also a member of your Facebook group. I’ve mentioned before, I also live with chronic pain from a brain tumor. Nerve damage in my brain. Debilitating headaches daily, which compromise ability to do things period. I also watch a few others with chronic issues who turn to art for therapeutic purposes. Thank you for teaching, inspiring, and putting art out there for us to enjoy. I love watching your you tube videos. You are so cheerful and inspiring. I love Rose too, she’s so cute. I’m humming “It’s a small world after all…” as I write this. I too suffer with chronic pain and live in beautiful eastern WA. with my incredible hubby, Ron. Kids are grown. We have two doxie-corgi-chihuahua mix brothers named Eli and Beezley who crack us up and GabbyCat. You are wonderful AND amazing! I’ve looked at other You Tube web sites for coloring but most of them are hard to watch or listen to. You have a very calming voice (much like Bob Ross). I have really enjoyed your videos and have signed up as a free member; for now. I too suffer from chronic pain and have always loved art. I have over 100 geometric mandala designs and do zentangle also. But I love color and find it soothing. “Some days you have to Create your own sunshine” Right?